Cholesterol management can be a frightening, paradoxical and difficult to comprehend subject. However, for too many people today, it's also vitally important to understand cholesterol management as quickly as possible to avoid cardiovascular disease and death. On the one hand you hear that cholesterol is necessary and on the other that it's deadly. You find out that it comes in through your diet, but then you find out that your body makes it too. Sprinkle in a few fun terms like "trans fat", "low-density lipoprotein" or "monounsaturated vegetable oil" and even the most studious and responsible patient will start to tear his or her hair out. How are we even supposed to begin cholesterol management if we can't get reasonable definitions? Fortunately, cholesterol management does not have to be that horrifically complicated. Once you know your way around the definitions and have a grasp on where cholesterol comes from and what it does, cholesterol management usually gets pretty simple pretty fast. Cholesterol is a fatty, waxy substance used in all animals on Earth. It's essential to life because it's required to build and maintain all cell membranes. It's also used in humans to create bile, without which we'd be unable to absorb the fat soluble vitamins including Vitamin A, Vitamin D, Vitamin E and Vitamin K.
Cholesterol is also insoluble in blood. That means that free cholesterol can't just go floating around in the bloodstream. Instead, it has to be carried in a "basket" for a fat molecule made from protein chains. Add the words "lipo" = fat, "protein" = amino acid chains, and you get the word "lipoprotein". LDL stands for low density lipoprotein, which means that the protein basket and fat molecule held within it are rather large. The bigger the particle, the less dense it can be. In a similar manner, HDL stands for high density lipoprotein. HDL particles are very small, thus allowing them to pack together more tightly and leading to greater density. LDL "baskets" are used to transport cholesterol to local cell membranes for maintenance and repair, while HDL "baskets" are used to transport cholesterol to be broken down and metabolized out of the body. This is why LDL is considered "bad cholesterol" while HDL is considered "good cholesterol". LDL is far more likely to deposit cholesterol on the artery walls, while HDL cholesterol is in the process of total removal. However, levels of HDL that are too high are just as bad as elevated LDL. Triglycerides are "everything else" that makes up total cholesterol. Think of it as the "miscellaneous" bin of the cholesterol profile. Triglycerides vary wildly throughout the day dependent on when you eat, how you rest, and your overall metabolism. Saturated fat is fat that has all of the hydrogen atoms it possibly can attached to the molecule. Monounsaturated and polyunsaturated fats aren't completely filled with all the hydrogen they can hold. For some reason, saturated fat seems to increase the risks of cardiovascular disease, while unsaturated fat does not. To this date, nobody really knows why. How Does Cholesterol Management Work? Cholesterol management, quite simply, means to make sure that you have enough cholesterol in your system to allow your cells to grow and stay healthy, while keeping a lid on excess cholesterol that would build up into plaques on your artery walls. Of course, just because something is simple doesn't mean that it's easy. The first place to start with cholesterol management is diet. Unless your cholesterol levels are dangerously high, you should always try to manage cholesterol levels through lifestyle before you start on medication regimens. When it comes to cholesterol management, the less medication you have to take, the better. Of course, smoking cessation, alcohol cessation and sufficient exercise should also accompany any lifestyle change for cholesterol management. If lifestyle changes don't work after six months, or if cholesterol levels are so high that your doctor feels that medication is immediately warranted, various cholesterol-lowering drugs can be added to your new lifestyle. Most of these drugs are prescription-only because the potential for dangerous side effects is high enough to need a doctor's supervision. Cholesterol management tactics may change depending on the various life stages you go through. For instance, while a woman may normally have a cholesterol level that warrants cholesterol management through medication, during pregnancy and breastfeeding she probably won't need to lower her cholesterol at all. Developing and newborn children need a lot of cholesterol in order to grow properly. In fact, a pregnant woman with naturally low cholesterol levels may require a program of cholesterol management just to get enough cholesterol. Again, cholesterol management just means to keep cholesterol at a healthy level. 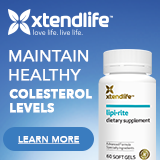 We normally think of cholesterol management in terms of getting cholesterol levels lower because most people in the industrial world have excessive cholesterol. Plenty of people in the world desperately need more cholesterol in order to be healthy. Of course, those people also generally need more food on a daily basis, too. Cholesterol management through diet generally means to cut back on fats that carry or create cholesterol while increasing those foods that help metabolize and excrete cholesterol. This usually means that your diet will suddenly develop a high number of substitutions, such as olive oil for butter, or oatmeal instead of white bread. If you approach this correctly, you don't have to give up on a decent tasting diet forevermore. The biggest thing to remember about creating a good cholesterol diet is that any attempt to recreate a thing usually makes that thing not as good as the original. For instance, no matter how much better it is for you, trans-fat free margarine will never, ever be as good as real butter. If you're used to butter, you'll always feel deprived. However, olive oil has its own pleasant flavor. If you're used to white bread, attempts to "get as close as possible" with whole grain flour will taste like sand and sawdust. However, oat bread made well, by a decent baker and for its own sake, has a unique toasted nutty flavor that can't be beat. In other words, don't try and eat the "low-cholesterol" versions of what you've always eaten. You'll think you were condemned to a term in tasteless culinary Hell. Instead, search out foods that are natural, original, and low-cholesterol without need for special, chemical modification. The reason that chemically modified food will never taste as good as the "real thing" is that fat carries flavor. If you're looking at a dish that normally requires a good deal of fat in order to carry the flavor, and you take the fat out, congratulations, you've created an icky, tasteless substitute. Pick food that didn't need animal fat to carry the flavor in the first place, you'll be happier. The latest cholesterol research says that trans fats are even worse for you than animal fat. Trans fats are created when vegetable oil is partially hydrogenated. Without partially hydrogenated vegetable oil, we wouldn't have Crisco, or margarine, or long shelf-lives on baked goods. Vegetable oil is normally liquid at room temperatures, reflecting its unsaturated nature. Unsaturated fat has little to no hydrogen in its chemical makeup and is always liquid at room temp. Saturated fat has all of the hydrogen it can hold in its chemical makeup and is usually solid at room temperature. Most animal fats are saturated. Saturated fat lasts longer before starting to go rancid and so was the cooking fat in most places for centuries. Vegetable oil could not be transported for long distances, so it was only used as a cooking fat when in close natural abundance. However, when we learned how to chemically alter vegetable oil, partially hydrogenated vegetable fat became a viable substitute for animal fat. However, because of the chemical alteration, we get trans fats in high quantity from partially hydrogenated vegetable oil, and those are excruciatingly bad for any cholesterol management scheme. If you're going to use partially hydrogenated vegetable oils in your cholesterol managment program, be sure and get only products that list 0 grams of trans fat per serving. According to most government regulations, that means they can have a maximum of 0.5 grams of trans fat per serving. If you eat a lot of it, you could still get a fair bit of trans fat into your diet, but not as much as you used to get. Using regular, liquid, unmodified vegetable oils is still the best. However, with recent government regulations on trans fats in many places of the world, suitable substitutes are now quite plentiful - just be sure to check the ingredients. Exercise is vital to any cholesterol management program. The whole point and purpose of cholesterol is to create and maintain cell membranes, after all. When you exercise, cholesterol must be spent creating and maintaining new cells. In addition, exercise forces the body to burn fuel that would otherwise be available for cholesterol synthesis. Most people in the industrialized world require about three sessions of aerobic exercise, at thirty minutes per session, three times per week. However, individual health circumstances should be taken into account for each and every person when designing an exercise program. Jogging is not the only exercise out there, after all. Power walking, swimming, rowing and bicycling are all valid alternatives, especially if you have joint or bone problems that would make jogging difficult or painful. If you suffer from any chronic health conditions whatsoever, do remember to talk to your doctor before going on a new program of exercise for cholesterol management purposes. There are a multitude of cholesterol management medications out there on the market today. However, all of them need a doctor's supervision in order to avoid potentially deadly side effects. When trying to chemically alter the blood lipid profile, we've found that all kinds of unfortunate things can happen. Cholesterol management medication falls into three main categories depending on where and how it works. The most powerful cholesterol management medication tends to work on the liver, which is where the majority of the cholesterol in the body is synthesized. This kind of cholesterol management medication can often cause liver problems. Another common category of cholesterol management medication affects the gall bladder and bile production. Since bile is synthesized out of cholesterol, this kind of medication prevents bile from being reabsorbed and re-used in the intestinal tract. If the bile can't be reabsorbed, the gall bladder has to "spend" more cholesterol in order to make more bile. In addition, bile reabsorption is an important part of getting dietary cholesterol into the body. If the bile can't be reabsorbed, then the dietary cholesterol that was in the meal you ate can't be absorbed, either. While this doesn't totally eliminate dietary cholesterol, it can help. The third category of cholesterol management medication is the "miscellaneous" category. These cholesterol medications work on cholesterol levels through various means, not all of which are known. Included are nitrates, Vitamin B3 and fibrates. Some decrease cholesterol from the diet, some decrease cholesterol elsewhere in the body, some boost HDL cholesterol levels and so on. These don't tend to be the first line of defense either due to effectiveness or side effects, but can sometimes be seen in combination therapy with another cholesterol management medication. Cholesterol management is a process that affects you as a whole person. As such, you'll have to approach it from a holistic standpoint. In fact, cholesterol management is one of the areas in which Western mainstream medicine is finding a great deal of worth in the holistic viewpoint and organization. Your cholesterol management program will affect you every day, probably for the rest of your life. If you take the time to get a proper cholesterol education, create an effective diet and exercise program, and discuss your cholesterol medications with your doctor on a regular basis, you'll enjoy your cholesterol management plan instead of feeling imprisoned by it. Durrington P (2003). "Dyslipidaemia". Lancet 362 (9385): 717–31. Pignone M, Phillips C, Atkins D, Teutsch S, Mulrow C, Lohr K (2001). "Screening and treating adults for lipid disorders". Am J Prev Med 20 (3 Suppl): 77–89.